An excellent tea to drink at the end of the day, chamomile has been used for ages as a relaxing drink that is highly enjoyed for its flavor, as well as for the sense of peace it can provide. 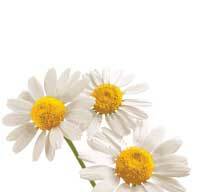 Perhaps the most well-known herbal tea, Chamomile Tea has remained a tea staple in many countries worldwide. A relative of the daisy, this flower earned its name from the Greek kamaimelon, meaning "tiny apple", as the scent of fresh blossoms is said to mimic apples. Sometimes called manzanilla, chamomile flowers have been admired and cultivated by humans since the days of ancient Egypt. Chamomile Tea is crafted from the dried blossoms, creating a soothing, mild and pleasantly sweet herbal blend. Chamomile tea may be a long-lived tradition, but a fresh cup of chamomile is anything but quaint. This tea offers many important nutrients, including vitamins, minerals and antioxidants. Drinking chamomile tea is an easy and delicious way to add manganese, vitamin C, thiamin, and riboflavin to your diet. It is also a natural source of flavonoids, tannins, glucosides, and quercetin. What Goes Well With Chamomile? Because of its unique and powerful flavor, chamomile makes a great addition to a snack or a meal. So whether you’re having a fruit salad or a cup of yogurt, or you’re treating yourself to something richer, like a slice of cake, pairing it with a cup of chamomile is absolutely perfect. Every well-stocked kitchen needs a supply of chamomile. The more you buy, the more you save per unit. Save yourself the trouble of ordering every week or so by buying in bulk. Periodically, we offer coupon codes. So, if you buy a minimum of $50 worth of products, you get free shipping. 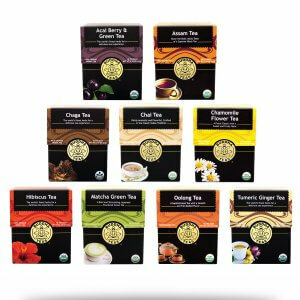 Don’t miss out on our unique, organic teas. If you want variety, buy another tea in bulk and rotate the tea you brew. Dandelion root tea is another herbal tea with multiple health benefits. I have tried many different brands of chamomile tea in the past and came to the conclusion that Buddha one is the Best. The chamomile is our family favorite . This is one of the more flavorful chamomiles I've had, very tasty. Review Title: Best tea I’ve tried yet! Delicious tea, smooth and tasty. The best tea I have tasted yet, with or without honey it’s great all around! This Camomile Flower Tea is simply amazzzing! I like ending my day with a warm cup to aid in my relaxation and support my skin + hair repair. It’s everything I need at the end of the day and I’m loving the flavor + aroma, too. 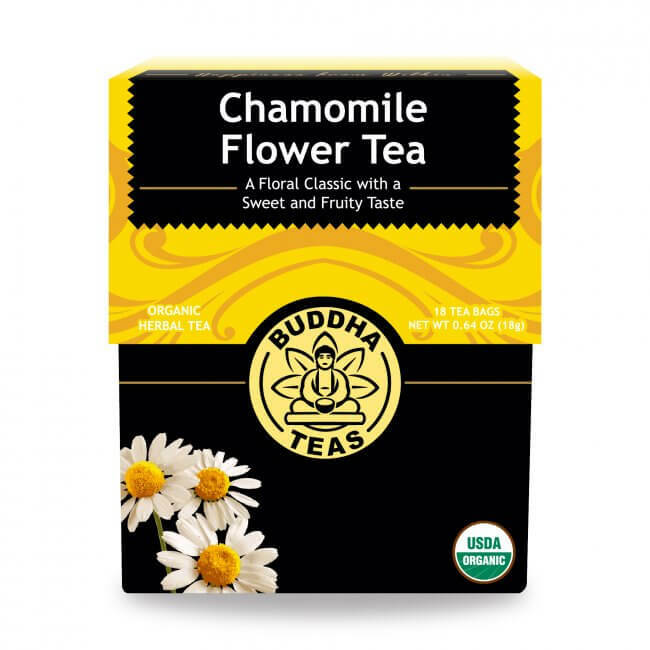 Chamomile is one of my favorite go to teas when feeling tense or irritated. It has a calming effect and I find myself floating into comfort when drinking. I LOVE how this tea smells as I drink it. Very relaxing and calming. As always quality and service are top notch. Great product and it tastes delicious . I was glad to find Buddha tea . Thank you .